North and South Window stand tall under a cobalt blue Utah sky. 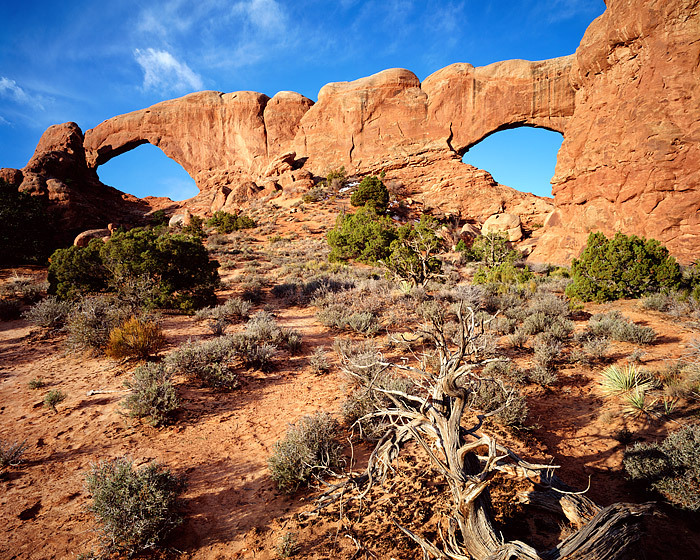 High clouds glide over Arches National Park in the Windows Section of one of Utah's most famous National Park. North and South Window make fine photographs by themselves, but when photographed together take on the apperance of a pair of glasses carved from sandstone. Photo © copyright by Thomas Mangan.